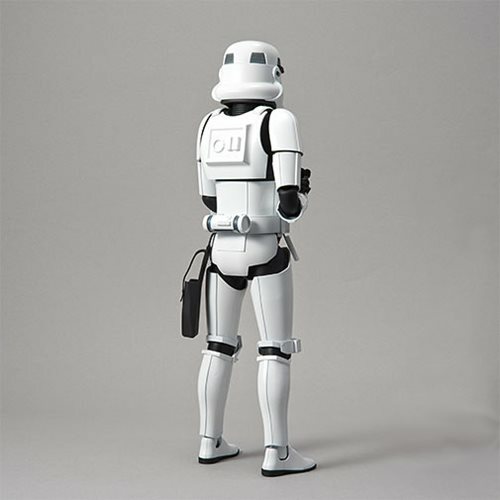 Shopping for Star Wars Model Kits? 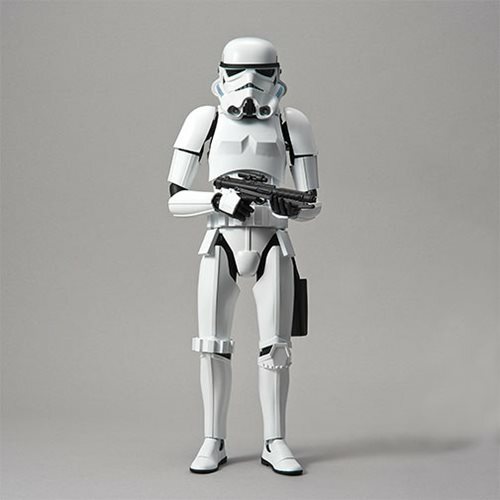 The 1:6 Stormtrooper is here from Bandai Spirits Hobby! 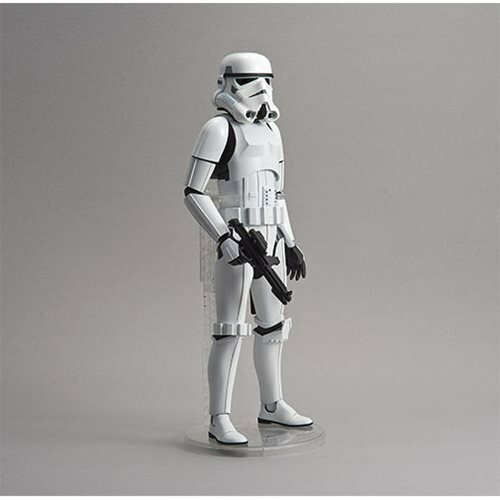 This model stands at a large 12-inches tall and allows for a wide range of poses and creates the authentic look of the Stormtrooper from Star Wars: A New Hope. Every detail from the film has been faithfully recreated for this model kit. 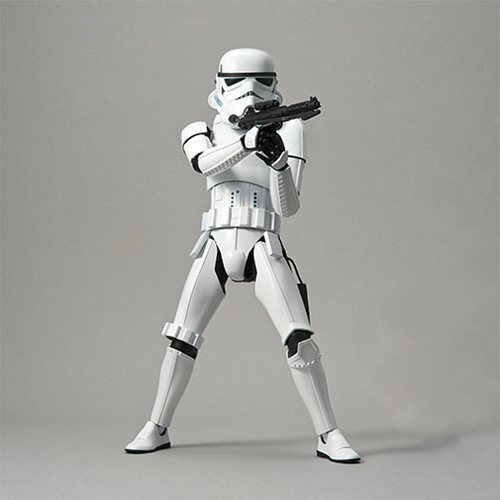 Included in the model is a DLT-19 heavy Blaster rifle with bipod, an E-11 Blaster with SE-14R short range combat pistol. Holster included as well. 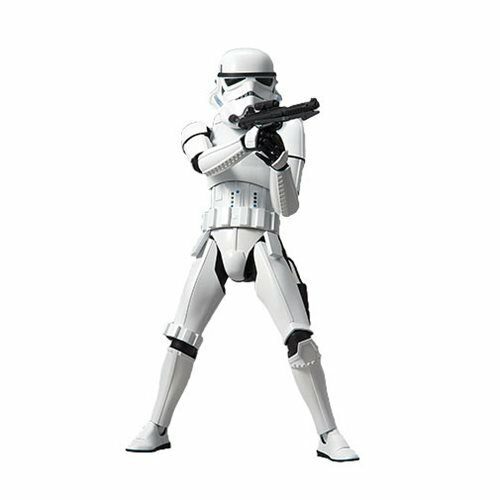 This Star Wars Stormtrooper 1:6 Scale Model Kit is a must have for Star Wars fans. Ages 15 and up.